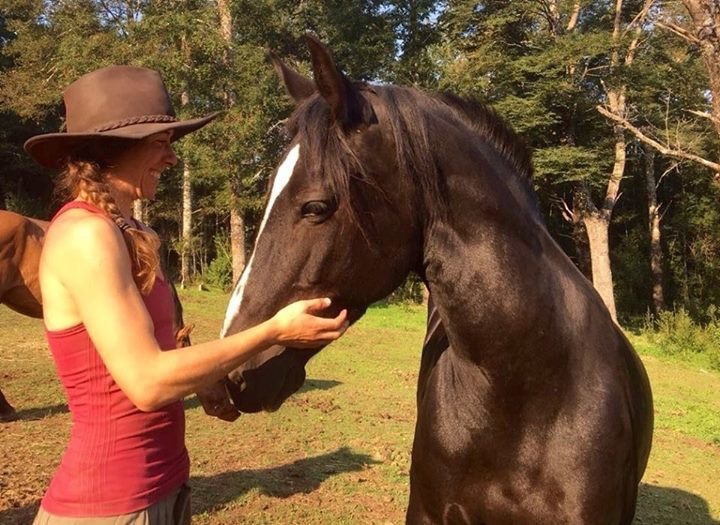 We believe deeply in the innate capacity horses have to awaken, heal and empower the human spirit, and we've committed to build an organization that cultivates this connection between people, nature and horses. 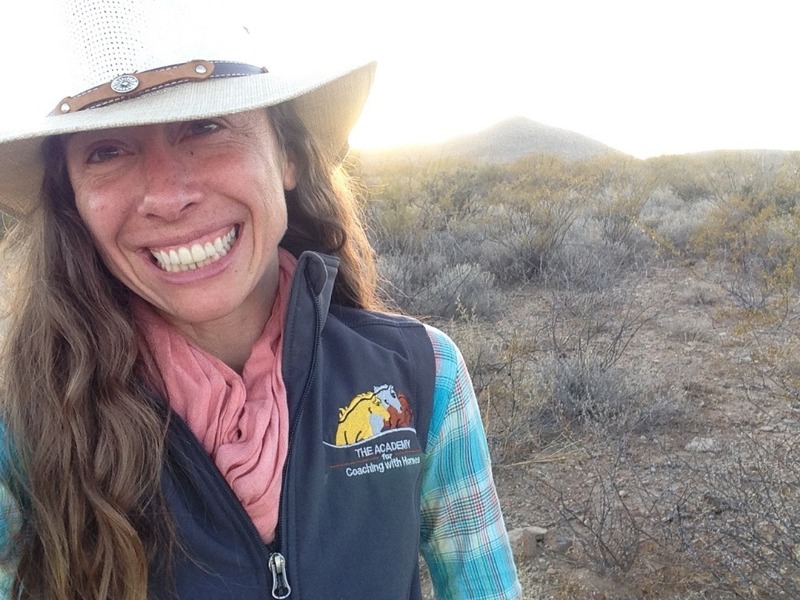 I'm seeking your support in helping to cover the cost of my Equine Facilitated Learning & Coaching certification, so that I can bring this empowering work to Chile. I'm Greta. 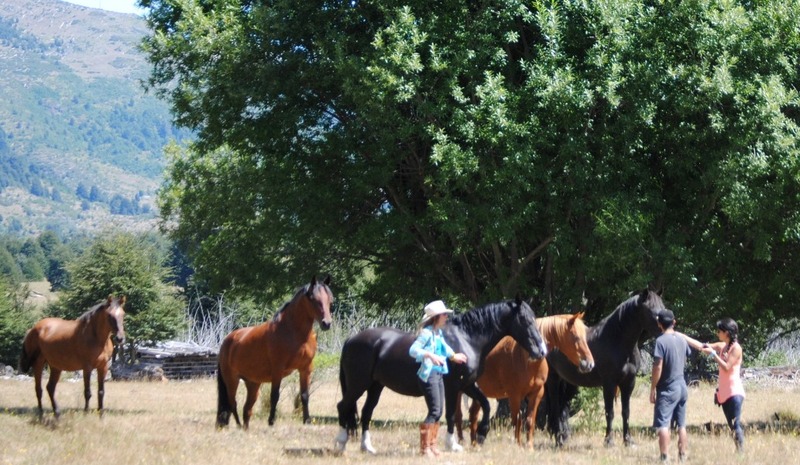 And, as several incredible twists of fate would have it, I'm a lucky herd member of these seven magic horses here in southern Chile. It was a mix of adventure and synchronicity that brought us all together, and it's adventure and synchronicty that has inspired this gofundme campaign! At the start of 2016, my husband, Alejandro, and I decided to hitchhike with our two dogs to southern Patagonia. Once there, we bought three horses and rode them nearly 1000 kilometers across the region. Learn more about that adventure here . 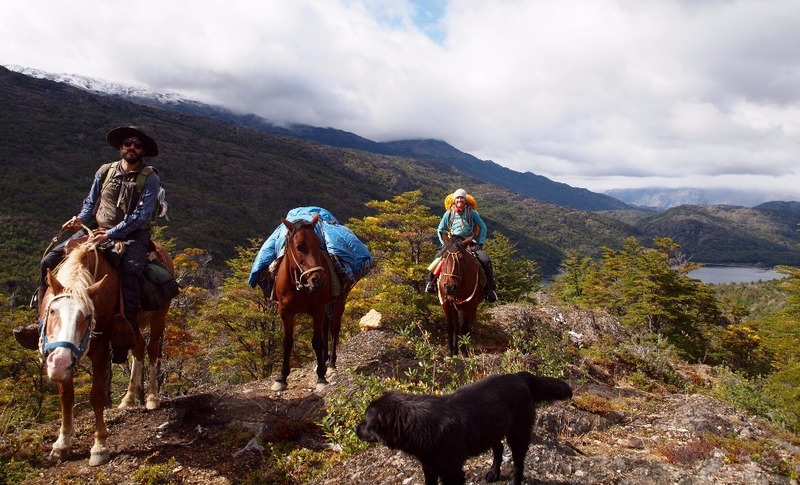 We spent three months traversing the wilds of Patagonia as we made our way north, experiencing some of the most pristine and remote wilderness we'd ever explored, gathering stories, photographs and memories that would last a lifetime, and building a deep bond with our horses. When the cold winds and rains of autumn were bearing down on us, we decided it was time to wrap up our ride. 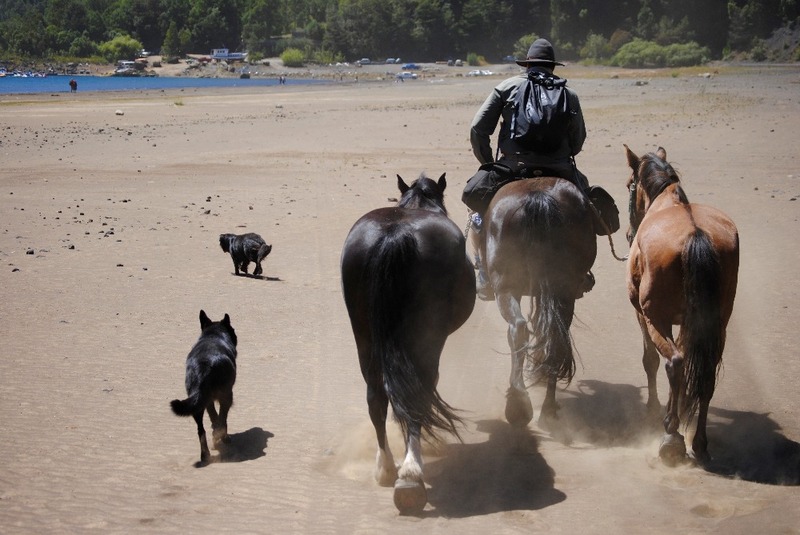 In Puerto Cisnes we put our horses and dogs on a boat and sailed together across the fjords all the way to Chiloe where we hauled the crew those final kilometers home. 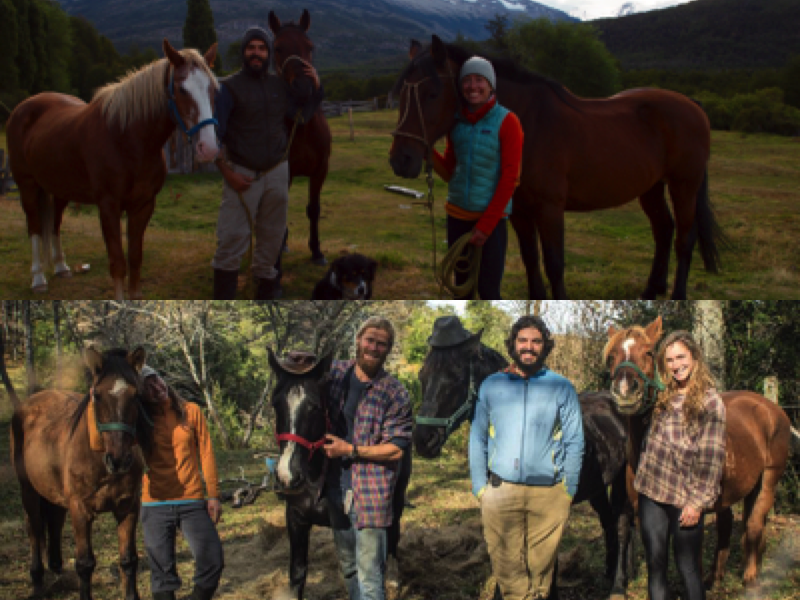 Just as we were settling back into life around Pucón, wondering what the future had in store for us next, we were contacted by Matty and Heather, another couple of fellow Long Riders who were in the midst of their own long-distance horse trek along the coast of Chile. After deciding it was time to end their ride, Matty and Heather were struggling to find good, loving homes for their four horses. They were worried that the horses would end up being sold to butchers and processed for food. Horse meat is commonly consumed in Chile and very often butchers are willing to pay up to double what a "campo" horse might cost normally. When they asked if we'd be willing to add four more horses to our herd, we were a bit struck by the synchronicity of it all. 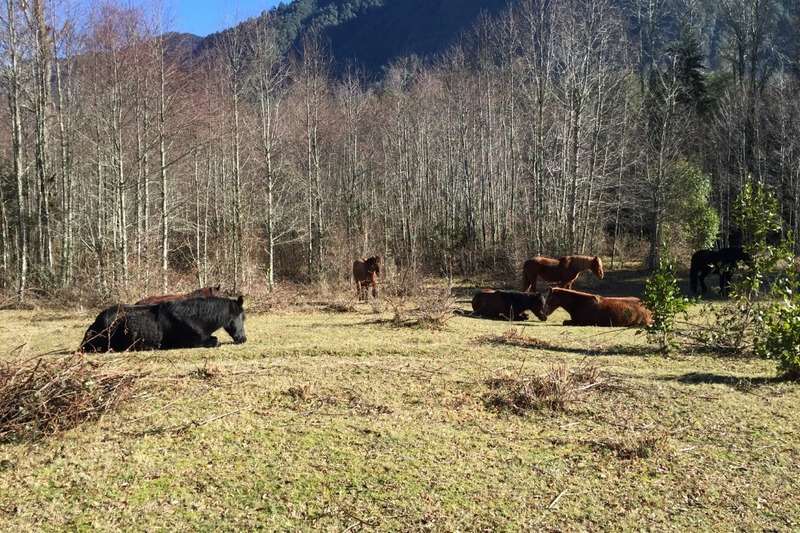 At the time we had no idea what we would do with seven horses, or how we would even manage to feed them through the long winter, but in our gut it just felt meant to be, we had to say yes. They rode them south and eventually our two herds of long distance trekkers became one, and our little band of three became seven. For Alejandro and I, the arrival of these horses in our lives felt like a clear invitation to build something meaningful here in Chile. The horses would be a key part of that, but they would participate as partners, not as financial assets on a balance sheet. Above all, we committed to ensure these horses would be treated with love and respect in all moments, for the rest of their lives. Why get certified in Equine Facilitated Learning & Coaching (EFLC)? So, now to dig into what's behind this request for financial support! Alejandro and I grew up with horses and are seasoned equestrians. We have a diverse background in a variety of disciplines working with horses. 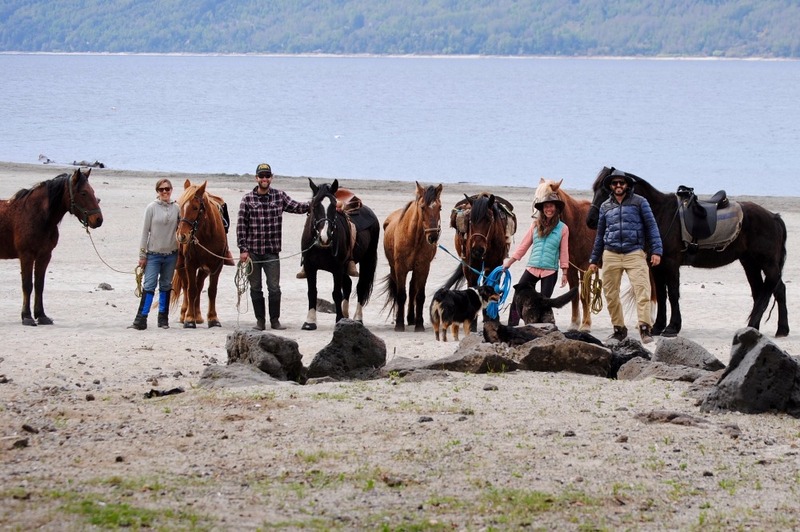 Having just finished a long ride of our own, we felt well-equipped to start a horse trekking company. But, the more we considered the strain that constant backcountry treks could put on the horses' health, the more we felt drawn to take our work to a deeper level. We wanted to ensure we were honoring their wisdom and their wellbeing. That's what ultimately inspired us to build a company offering authentic learning journeys that will integrate EFLC, wilderness education, personal development and adventure. Basically, working with the horses to build more heart-based connections. 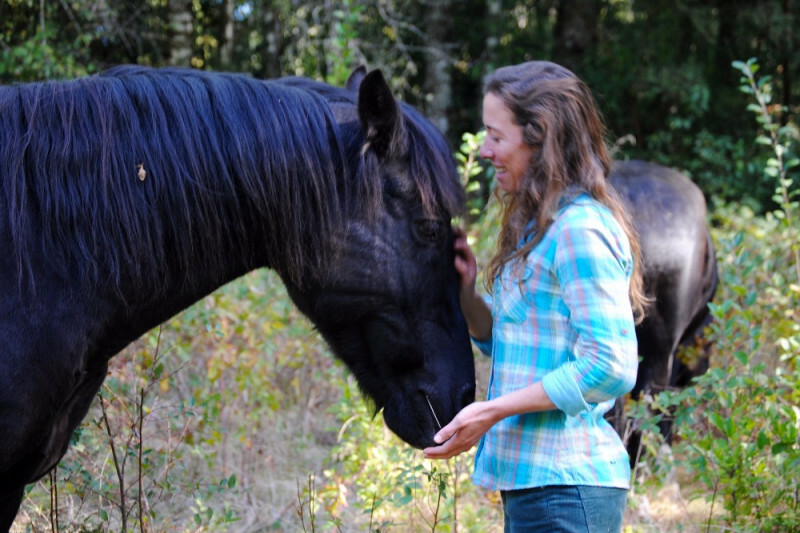 In order to do this work from a place of integrity, I knew I needed a broader foundation of how to support people in their personal development as they experience the healing power and wisdom of horses. Equine Facilitated Learning & Coaching (EFLC) can take many shapes and forms across a wide spectrum of industries and specialities. We define it as a process of experiencial learning, facilitated in partnership and presence with horses, for the purpose of personal development, discovering & drawing out authentic leadership, exploring emotional intelligence and awareness, and cultivating reslience of spirit and being. It's typically done on the ground in the presence of a horse, who works with the client in partnership with a human coach/facilitor. Why is EFLC such a transformational experience? As a result of the highly sensitive nature of horses, what a person holds emotionally in their body and mentally in their mind, affects how the horse responds to them. Horses instinctively respond to truth and authenticity. The horse acts as a supportive witness, mirror and companion during personal discoveries of hidden aspects of oneself- providing often profound experiences at the cellular level as individuals explore self-worth, tolerance, patience and compassion. Horses show up without ego, agenda or judgement- they are simply with us as Anam Caras (Soul Friends). The beauty of this work is that it's truly a process of making the "invisible" visible; as people witness and experience the impact that their own self-awareness has on the horse, they gain greater awareness of the impact of shifting energy and minsets. It's our intention to provide a sanctuary for discovery that invokes a sense of curiosity about how we, as individuals and collectively, may lead more wholehearted lives, businesses and organizations that are aligned with the natural cycles of the Earth and in tune with the wisdom of our bodies. To bring this work to Chile with the level of integrity that honors the capacity and wellbeing of our herd, as well as the wellbeing of our clients and ourelves, I felt that enrolling in the yearlong apprenticeship program with Kathy Pike would provide a strong foundation to build upon. The Equine Facilitated Learning & Coaching Certification program is a yearlong program, facilitated through a mix of virtual lessons and onsite workshops. There is extensive virtual coursework that takes place, and four practical onsite workshops take place in the USA. Kathy Pike is a leader in the industry, and has built a beautiful foundation of this work that is focused on integrating areas of energy systems of the mind and body, emotional intelligence, personal development, life coaching, equine based learning, and leadership development into a holistic approach that truly honors the horses as partners. 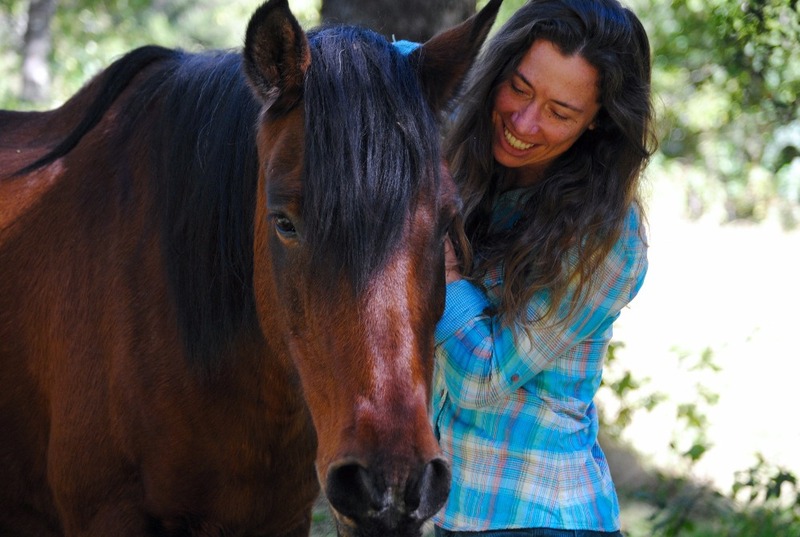 Of all the programs available, I deeply connected with Kathy’s extensive history in this field and her commitment to integrate heart intelligence into the cultivation of relationships between people and horses. This is a significant amount of money that I'm working to raise. It's an investment in the core foundation of the work I wish to bring to Chile and into the world. All of the money raised through this campaign will go toward the pay-off of all costs associated with my enrollment in Kathy Pike's Equine Facilitated Learning & Coaching (EFLC) Approved Facilitator Certification Program and other education/courses that will support our ability to give our horses the best care possible here in Chile. 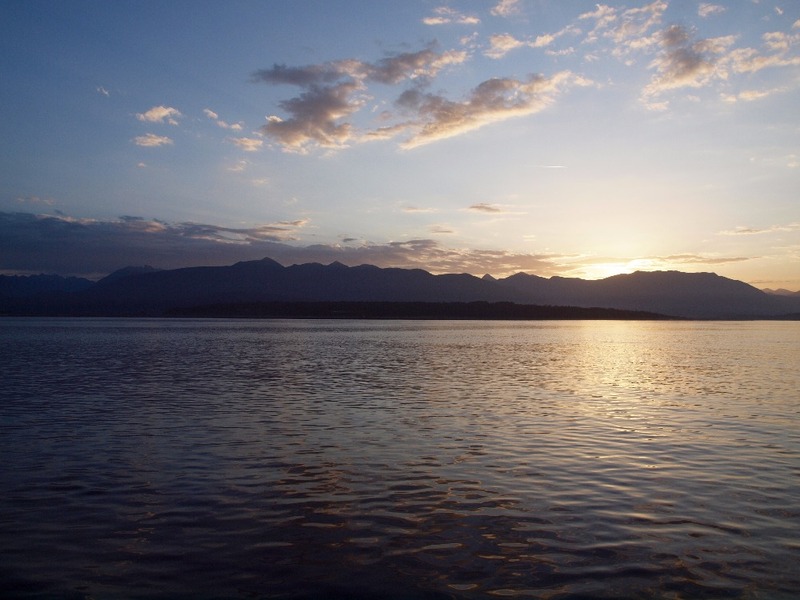 - Travel is an expensive aspect due to international travel between Chile and the USA for each onsite. This estimate for travel expenses includes estimated costs related to flights, ground transportation, food and lodging for four individual trips. 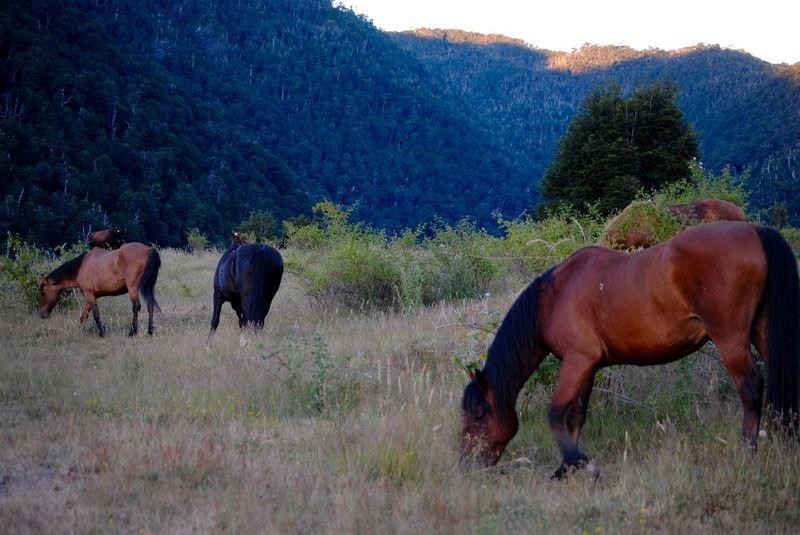 - We've come to find that there aren't many resources for horse care that are easily accessible in Chile; therefore, in order to keep our herd healthy, both Alejandro and I need to continuously invest in our technical skills around horse care. This workshop will teach us basics needed to manage the health of our horses' hooves. - Natural Horsemanship, Equine Facilitated Learning & Equine Therapy are emerging specialites in the equine industry globally, and they're really just beginning to gain ground and influence here in South America. We have an opportunity to attend a Natural Horsemanship Clinic in Argentina this November where we can meet others who are doing this important work and continuously build upon our foundations of knowledge and experience. 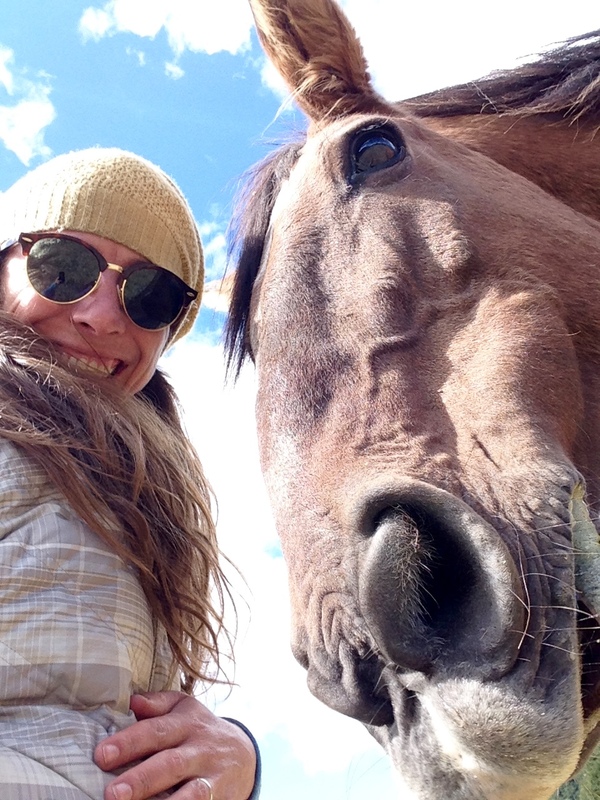 In such a remote corner of the world, building connections that support expanding heart-based work with horses feels priceless. - Most of our EFLC work is done in round pens, with the horses working at liberty (without ropes or harnesses). So far we've been working within a make-shift round pen so that we can begin practicing this work and building skills; however, a sturdy, safe round pen is a critical tool that is needed in order to implement everything I learn throughout the certification program. If we receive funding beyond our goals, this will go directly to support the health and wellbeing of the horses. To date we've invested everything we have to maintain their health and build this next chapter of our lives with the horses in Chile. I wish to express our larger intentions, so that you know how far your money will actually travel- as it really will go beyond the certification. This certification is a critical foundation to bring this work to Chile, and into the world. Personally, it's been a long journey for me to arrive at this place of asking. I've always been a very self-sufficient person, carving my own way in the world. I started my first business at the age of 12, raising and selling hedgehogs so that I could afford to buy a young Arabian horse to train and breed. I've always been proud of my independence and my ability to take care of everything on my own. When we said yes to the horses, I knew we were saying yes to something that was bigger than us. I also knew if I wanted to create something bigger than me, I couldn't do it alone. My life has offered me countless opportunities to learn the power of vulnerabilty, the power and beauty of giving and asking, from a place of equal generosity. I wholeheartedly love to give whatever I feel I have an abundance of. I'm continuously discovering we can also ask from a place of abundance, and in doing so we're opening channels for collaboration and reciprocity, and inviting others to participate in the change they wish to see in the world. I can't change the title of the "Rewards" section- so I would like to express here that I've listed an Abundance Exchange. If you are feeling the financial abundance that allows you to give with ease, I wish for you to receive what I feel I can give from a place of abundance in exchange. It's been an exciting and wonderful experience to imagine all the beauty that could be created for the exchange, so please know how deeply my love and attention has gone into each of the offerings. I love to write and share reflections & stories , and I've got some very special ones to share in this exchange. I also love to capture beautiful places from behind the camera, and unpublished selections of some of these captures are also in the mix. And of course, for those who are able and willing to travel, I've included some gorgeous experiences with the horses in truly incredible places. I'm limited in the length of the descriptions, so please don't hesitate to reach out to me directly with any questions. Sometimes things much larger than ourselves come knocking, and they ask for us to step out of our comfort zone, they beckon us toward places where we cannot see all that awaits us, yet the path has already been mapped for us to follow; in these moments we have a choice. We can keep the door closed, we can refuse to answer and take comfort in the safety of the walls we’ve built around our selves and our lives; or, we can open the door, we can allow that which beckons us to shatter the windows and blow apart those walls; we can willingly step toward the larger thing that is calling us, knowing that we will be large enough to meet all that comes our way, even if we know not what that fully entails. We can trust in life, lean into it and say yes- I am here and I will do all I can. Something much larger than myself has come calling; and I’ve decided to say yes. And I know that I cannot, and am not meant to, do this alone. My deepest bow of gratitude for your support- in whatever shape, form or amount it may take. 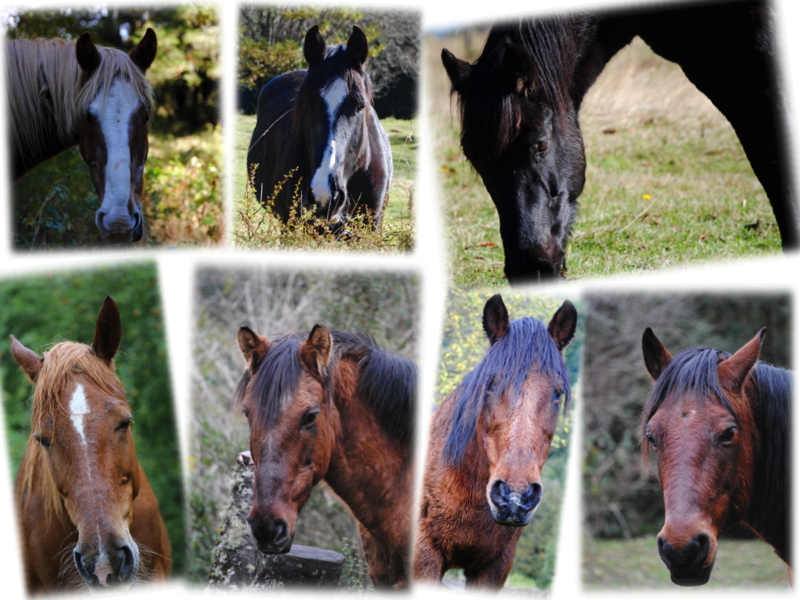 Our magic herd sends their gratitude as well, and they look forward to meeting you in person someday! Hello hello from a vibrant spring in southern Chile where blossoms are bursting forth even as the storms roll through. How incredible it is to realize we've reached the one year mark of this journey! When I decided to launch this a year ago, I felt my own timidness in sharing my vision, and some undercurrents of fear about being seen in the world- even as I was still in the process of listening to what was actually being asked of me- by the horses, by Chile, by my soul, by whatever title you wish to give this larger gravitational pull that put me on this path. I stepped into all of this with a deep sense of knowing this was the path I was meant to walk, while also holding a deep sense of vulnerability about how much of the unknown awaited me. Although this journey is, in many ways, just beginning, I will be closing this Gofundme page at the end of this month. The herd has some wonderful stories and messages that I've been gathering this last year and cannot wait to share with you, so don't worry, we'll be staying in touch with our continued gratitude exchange :) We'll also be sending out more details about what's next for the herd and I as we continue to commit to this big vision that beckons us onward. In the meantime, I did want to share with you some of the profound and stunning things that have happened as a direct result of your contribution and participation with me on this journey- things that go way beyond receiving this certification or covering travel costs (which you also made possible!). 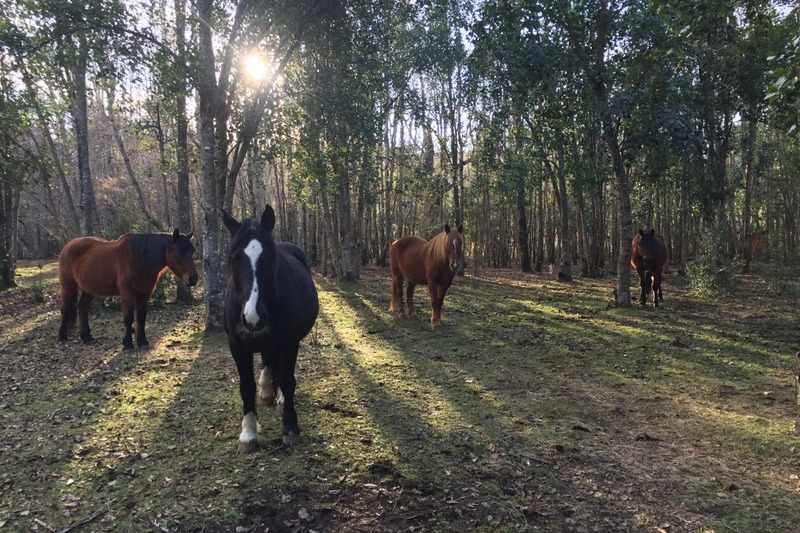 They are what I consider "winks from the universe", magic interweavings of possibility and opportunity that have all arisen in this last year after I began the process of voicing the vision for our work with the horses. As with everything related to this adventure, this has not been a linear process, and yet, the beauty is in the journey rather than the destination, so let's just pause and celebrate some magic synchronicity. When I was at Level 3 of the EFLC course in Arizona, I worked with a magnificent horse named Marshall. Mr. Marshall was a wonderful little Fjord, a Norwegian horse breed. He seemed a bit impatient with his desert life, which of course I couldn't blame him for- he's from a cold land of ice! At one point I felt a deep longing for him to be in the cool mountains of Patagonia with me. I imagined how much he would enjoy the cold winters and the forests that stayed cool even when the summer sun was hot. I could see an image of his golden coat and black mohawk dancing across this land with the snowy volcano breathing behind him. A third thing came through during this particular time on my journey through the EFLC certification. I received a very strong desire to make a frame drum. It was a deeply personal and curious experience to feel this calling while out in the desert walking alone before sunrise, but it motivated me to reach out to a dear friend and ask her to help me manifest a drum. Prior to this I had never wished for a drum in my life, nor did I have any particular vision for the role of the drum in my life, but I knew I had to send out the call for support and see what happened. Commit, and then figure it out. The story of this journey with the horses from day one, the essence of how we manage the "how". So- here comes the magic! When I arrived back to the herd in Chile, not a week after completing Level 3, I randomly received an email from a film maker who wanted to make a film about climate change. He wanted to make this film in Chile, and he wanted to do it on horseback in order to reduce the carbon footprint of the production process. And he wanted to work with us, and our herd, to make this happen...!!! Through a series of wonderful synchronicity and soul-friend support, I also was blessed with the experience of making my frame drum, using materials gathered here in Chile, and with the guidance of a dear soul sister friend who carried this ancient knowledge of how to make these drums by hand. I carried the skin of my drum on the back of my horse, I washed it in a wild river and wove the drum together around an open fire with the presence of horses. It was a deeply moving experience, and now each time I step into the field and begin to drum, the entire herd comes and stands nearby, holding sacred space with me. But the drum story does not end here! 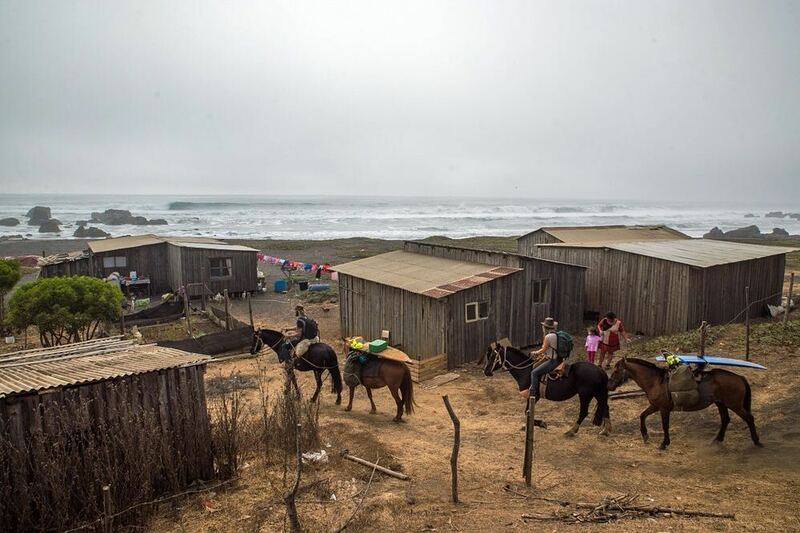 I have been asked to co-facilitate a workshop on the coast of Chile that will interweave equine facilitated learning experiences with a sound healing and drum-making workshop. It is a profound honor to receive this invitation and to create a truly supportive and healing experience with horses. And it will be the first workshop I'll facilitate since receiving my EFLC certification, so this all feels wonderfully connected. And one last lovely wink. When I first began to envision how we could connect to and empower our community with the horses, I knew that our business would contribute to some sort of non-profit work that would give access to the horses for those whom might not be able to afford our services. 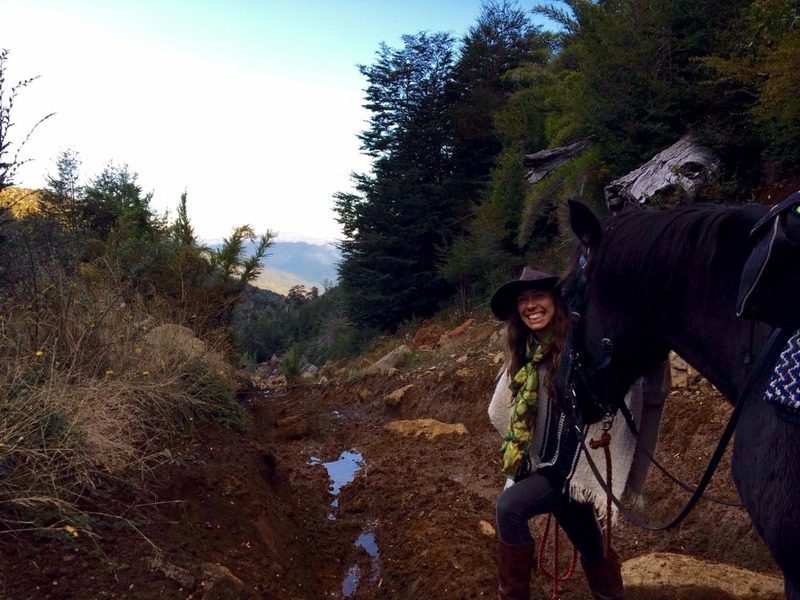 And although I personally pursued an equine facilitated learning certification that focuses on coaching rather than the more traditional equine therapy, I always hoped that we could support others in Chile who were bringing this incredibly effective and essential therapy into remote communities. 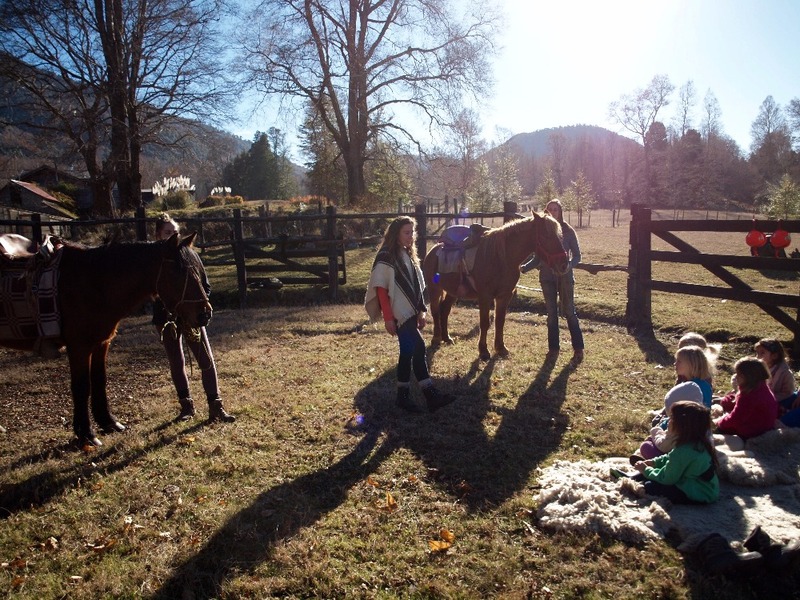 And then a few months ago I was introduced to Blanca, a Chilean woman here in Pucón who has decided to take her more traditional therapeutic techniques out to the field and begin an equine therapy program for children in our region. As she is just beginning her own journey, and I had just completed my certification, we were thrilled to find one another and know that our visions for this work might be intimidating and overwhelming at times, but this is the time and the place, and we are right on time. And tomorrow I will go to help her receive two equine therapy horses she has just bought- two Norwegian Fjords. !!! As I mentioned I will be wrapping up this chapter at the end of the month, so if you feel drawn to give or share our journey with anyone else over the next few weeks, please do. Keep an eye out for a flurry of updates and details arriving this month as the herd shares updates of their own, and we share more information about what's next and how to keep up with the next leg of our journey. I could spend every waking (and sleeping) moment in the presence of this herd. Just watching them, watching their mannerisms, their relationships, their subtle (and sometimes not so subtle) ways of communicating. Horse language is by far my favorite language to study, it becomes almost a zen practice of paying attention and truly soaking in the present moment. I also love the ways we are finding to create and build authentic relationships between the whole herd and people. This summer has really opened our eyes to the gift these horses are offering by inviting people to come into their presence in a new and different way. This past month has been a busy one- requiring a lot of juggling between projects, roles, responsibilities and the work that demands screen-time (still primarily paying the bills) as well as the work that demands field-time (building our equine facilitated learning journeys and a regenerative lifestyle). In the midst of all the busyness, we've had the pure joy of introducing more and more people to the herd as they live naturally, and in the process we're realizing just how special this experience is. For most people, interactions with horses are typically confined to the traditional stable/arena/paddock lifestyle- at least this is true for most people in the majority of the USA. 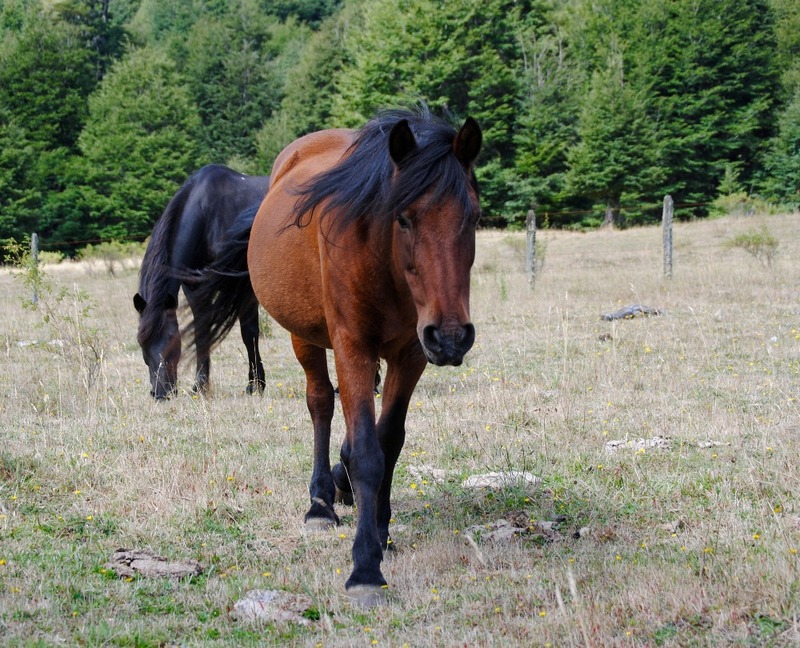 Horses are usually kept in smaller paddocks or in stalls with small turnout areas. 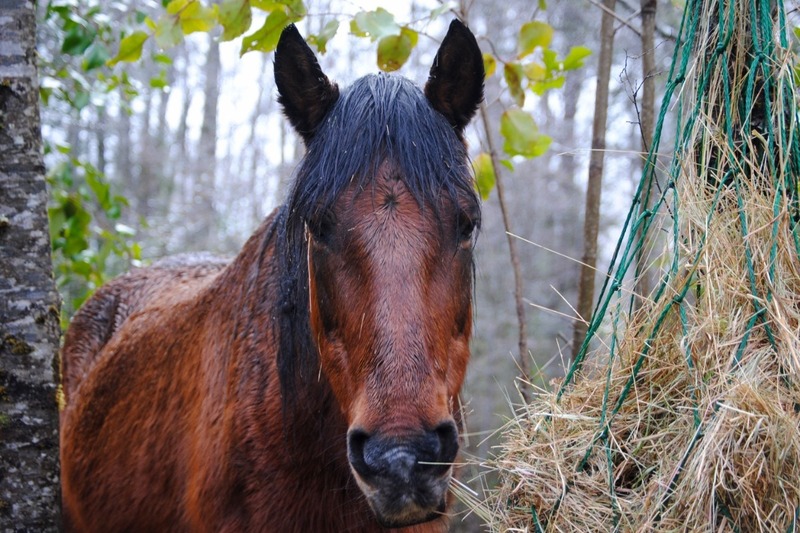 These living conditions impact the behavior and wellbeing of horses dramatically; because they are so far from the natural way a horse would exist in the wild. Horses kept in stalls spend the majority of their time alone, with limited opportunity to socialize with others. They also lack opportunity to eat at leisure over the course of a 24 hour period (naturally they would graze up to 18 hours a day! ), and they aren't able to roam as far as they normally would if they could wander freely (horses in the wild roam up to 20-30 miles a day!). Our herd lives free-range, so they are together all day and night, roaming freely and grazing, sleeping, resting and playing at their leisure, in their natural cycles. When we spend time just watching them, just being with them as they roam, we begin to notice how they pause throughout the day to gather quietly together- three gathering around a single tree, four facing one direction, all done with intention. We also notice how they choose different companions to graze with and sometimes nuzzle and groom. We witness how horses rest and sleep in very short intervals, catching 15 minutes sleep or quietly rest throughout the day, but actually spend the majority of the day and night awake (horses normally only sleep a total of 2 hours per day!). As the weather grows colder and the days grow shorter, we're feeling fall has fully arrived and winter is just around the corner. We're doing less round pen work and discovery sessions with the horses; but that hasn't stopped all of the creative ideas from flowing for how we can continue to build regenerative relationships between people and this herd, and how we can cultivate resilience and well-being for all by continuously listening to all the horses have to teach us. The herd and I wish everyone in the northern hemisphere a beautiful and vibrant springtime (if that snow ever relents!! ); and for those of us in the southern hemisphere, enjoy the colors and delicious harvest of this season. Harimau sends a hello to all! 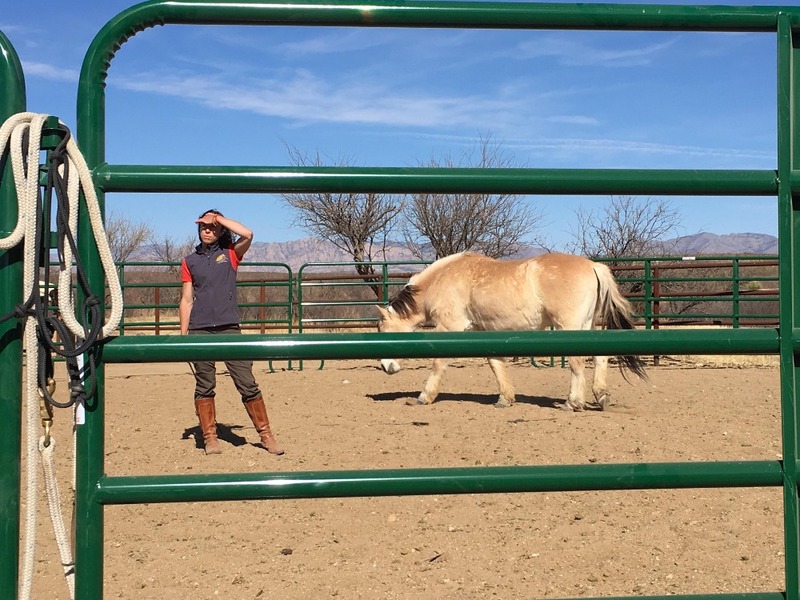 A few weeks ago I was in the desert in Arizona for one of the onsite workshops with Kathy and the Academy for Coaching with Horses. 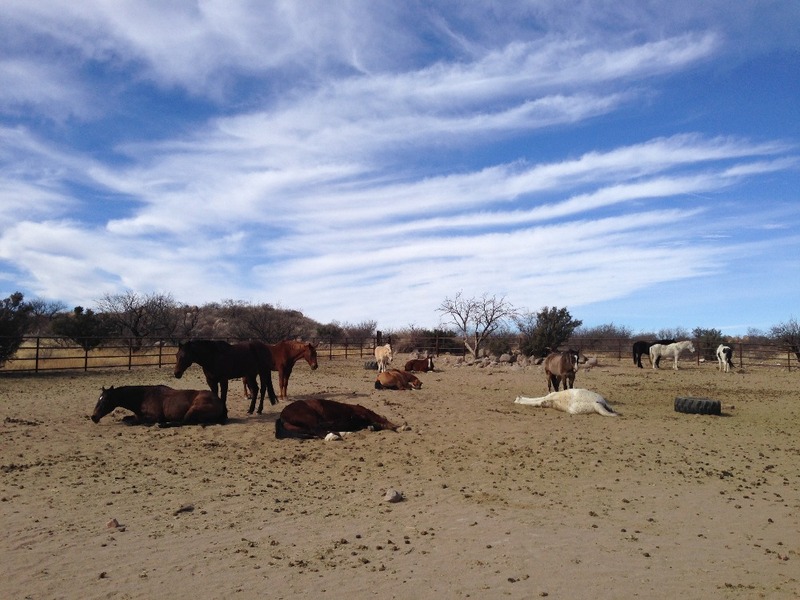 It was a series of magnificently clear and dry desert days, working outside each day with a few horses who normally are confined to dry sandy pens and riding duties that include trail rides and team penning for hotel guests. But this week, the horses were able to drop into an entirely different type of work with humans. We worked with the horses almost entirely at "liberty", which means we didn't use ropes or halters or any means of confinement. 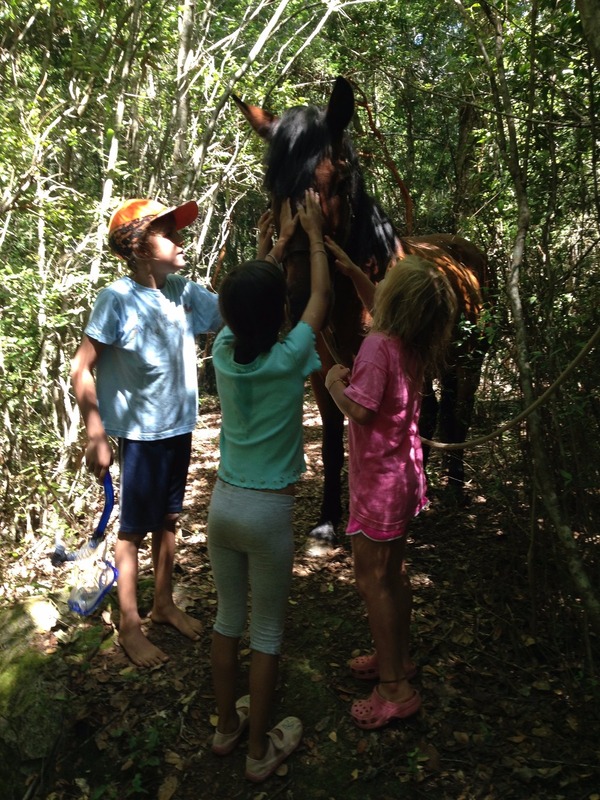 We dropped entirely into horse communication & exploring inner body awareness. 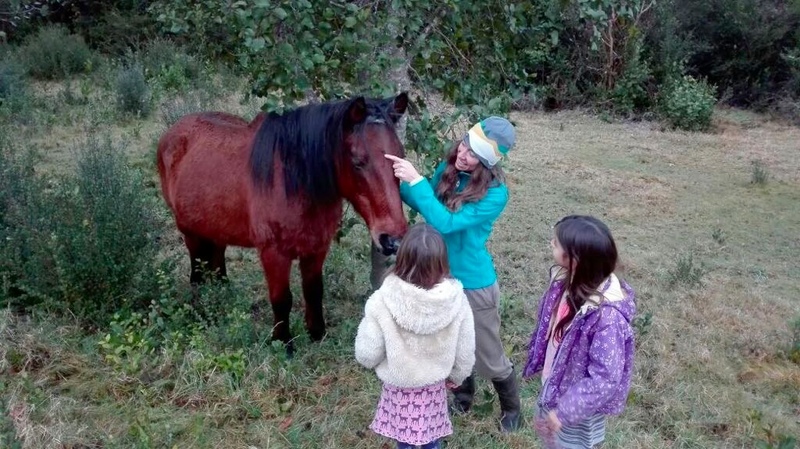 We practiced a series of workshops that could be done with groups of people that empowered and connected the horse and the human relationship. A few examples were moving a horse as a group into a "box" without the use of any whips, ropes or sticks. We worked with our horse's "bubble", exploring all of the way horses give permission for us to come into their space, and how to introduce people to this language. We discussed all of the ways herd dynamics support our understanding of broader group dynamics, and how true leadership emerges from a curious and coherent self who is communicating with clear intention. It was simply divine to work with these horses in this way for the week. It reminded me of how unique the life our herd here in Chile actually has in comparison to what is "normal" for horses in the USA. Our horses live out in the fields as a herd nearly all of the time; and when we work with them, even for long rides, we are always working in conversation and relationship. They are never considered to be just a "tool" for us to "use". As I watched the horses in Arizona standing all day in the sandy paddock, or ridden out onto the trail in their single file lines, I felt their quiet underlying wildness that still lives within them, that still has a voice which is spoken with the other horses, with the desert and the sky and the earth beneath their hooves. And with us, when we are willing to listen, and curious enough to invite it forward. It's incredible how reciprocal this work is and can be- how our willingness to empower the spirit and natural way the horses are, allows us to receive information from them that in turn empowers us as human beings. The dynamics and potential of this work are astonishing, and more than anything I find myself endlessly grateful to my herd for asking me to step into this work, and to all of you for your willingness to encourage it forward- to make it possible. If you are interested in hearing more about how Equine Facilitated Learning & Coaching is coming into the world in a variety of shapes and forms, I invite you to listen to this beautiful TED talk where Lucinda Vette shares how horses help us lead from the heart- and what capacity this has to make a difference in our world. Wishing you all an abundant and beautiful weekend ahead as you lean further into March and the shifting of seasons is again arriving. Humbled, deeply grateful, and motivated! A few photos from the day we moved the herd up to the mountains for summer grazing. 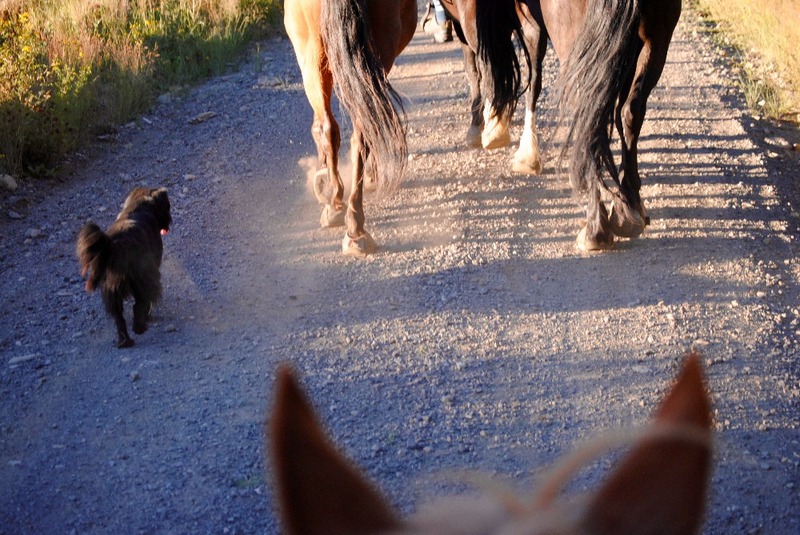 When we move the herd to different places, we prefer to ride them rather than haul them in a truck. Hauling in trucks can be really stressful for the horses and the roads are also pretty rough in spots. Even though it's a long day in the saddle, it's a pretty fabulous excuse to spend the entire day adventuring with the whole herd. 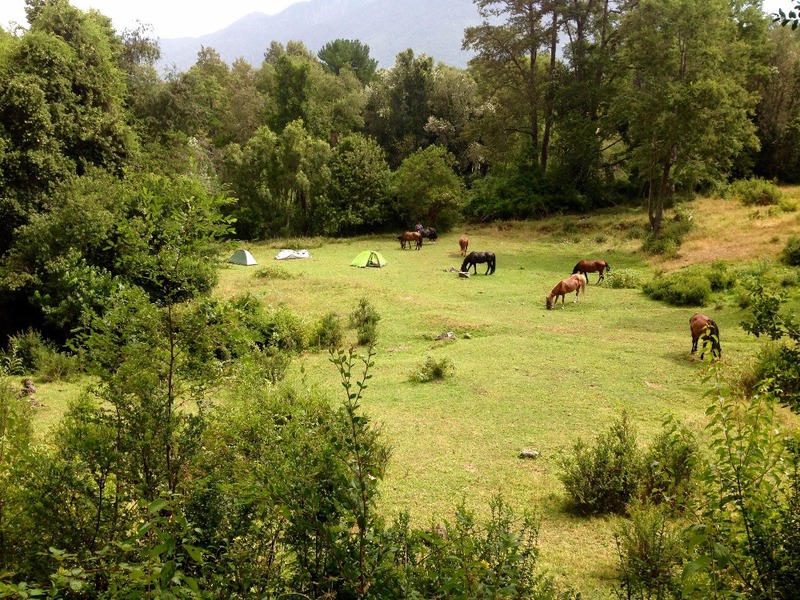 Plus, when we arrive at the land, we camp with the herd and all settle in together, which is pure magic. Moving the herd up to the mountains! A poem and photo will arrive in your inbox expressing our deep gratitude! Each month for a year you'll receive an email including an image and prose to inspire positive ripples through your day, week, month and beyond.